Buy 43 grade cement online from our various brands at the best market price. Initial setting time of 43 grade cement is less, however with time it attains an equivalent strength of 53 grade. The use of 43 Grade OPC is generally recommended for wall plastering, flooring and other non-structural purposes in civil construction work such as residential, commercial and industrial structures. The price is much lesser then 53 grade cement and is a replacement for 33 grade cement. 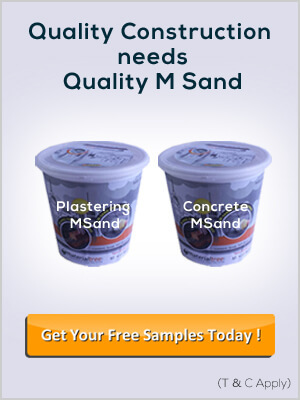 All major Cement brands like ACC Limited, Bharathi Cement, Chettinad Cement, Coromandel/India Cement, Jaypee Cement, Kesoram Cement, Maha Cement, Orient Cement, Penna Cements, Ramco Cement, Zuari Italcementi are available at materialtree.com.